In a medium-sized mixing bowl, mix together cream cheese and yogurt with a hand mixer. When the mixture is smooth and creamy, stir in strawberry jam and diced fresh strawberries. Garnish dip with a dollop of jam and a sliced strawberry. 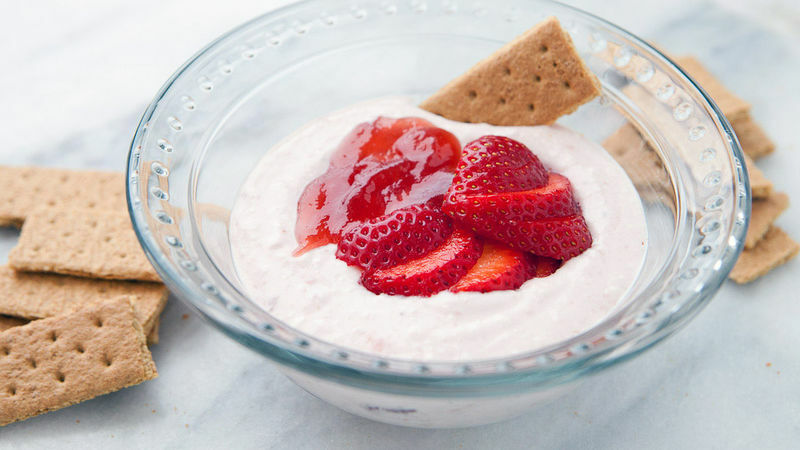 Chill dip until ready to serve and serve with graham crackers.